Lilia Albert has been leaving people behind for her entire life. She spends her childhood and adolescence traveling constantly and changing identities. In adulthood, she finds it impossible to stop. Haunted by an inability to remember her early childhood, she moves restlessly from city to city, abandoning lovers along with way, possibly still followed by a private detective who has pursued her for years. Then her latest lover follows her from New York to Montreal, determined to learn her secrets and make sure she's safe. 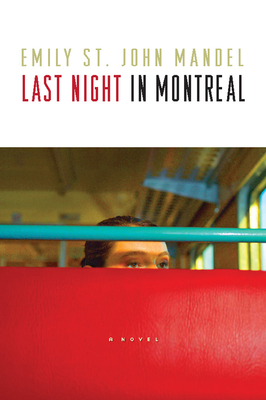 Last Night in Montreal is a story of love, amnesia, compulsive travel, the depths and the limits of family bonds, and the nature of obsession. In this extraordinary debut, Emily St. John Mandel casts a powerful spell that captures the reader in a gritty, youthful world--charged with an atmosphere of mystery, promise and foreboding--where small revelations continuously change our understanding of the truth and lead to desperate consequences. Mandel's characters will resonate with you long after the final page is turned.